It is the perfect tone to put a note of joy and colour to all types of interiors and spaces. However, since it is a warm colour halfway between red and orange, care must be taken not to overload and saturate the environment. A good solution to integrate the colour of the year in your home is through small decorative pieces such as frames, candles or vases. Try dressing the table with a Living Coral detail and check the versatility and transformation capacity of this tonality. In the main spaces, a wall in full color will get a warm atmosphere and invite relaxation. It is one of the most daring and risky options to include the 16-1546 in the decoration of the house, but also one of the most groundbreaking. Paint one or two walls of your living room, dining room, study or room in this tone to enhance the stay. In order not to saturate the environment and create a balanced contrast, choose to keep the rest of the walls in a more neutral color, such as broken white. The highlight of the Pantone 2019 is its versatility. Despite being a color that can be reminiscent of the warmth of summer, it can also be perfect to get a smile on the most winter days. It fits perfectly with different materials, shapes and colors and you can try a thousand and one combinations. If you're not so risky, you can choose to apply it in the rooms in textiles and bedding: blankets, cushions, bedspread ... with a neutral palette in the background. 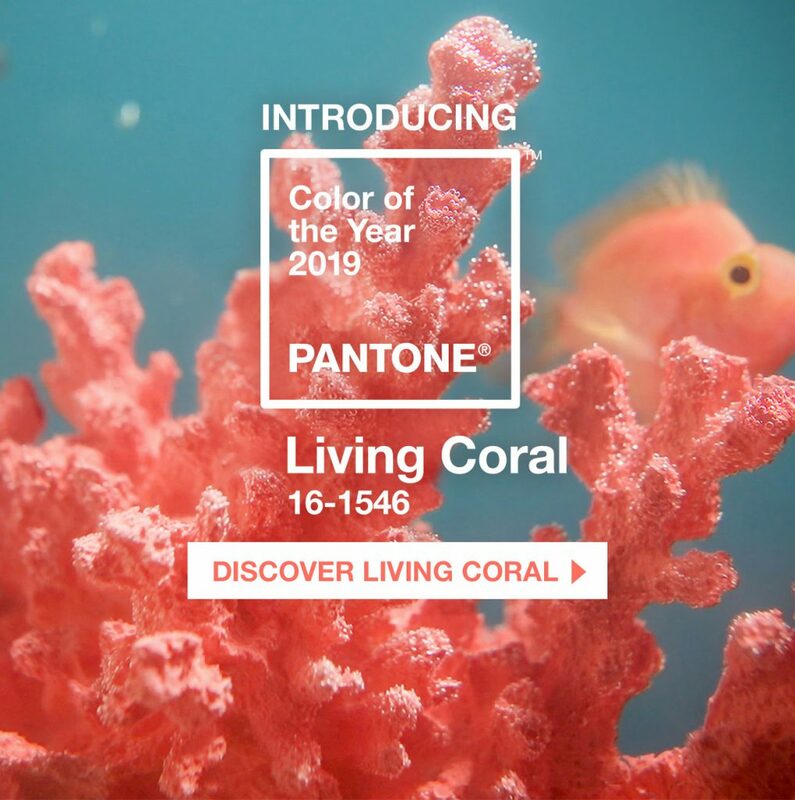 In addition to being a color that exudes happiness and tends to good humor and positivism, Living Coral undoubtedly evokes nature. We can bring a feeling of warmth and relaxation to any space with a floral ornament in this striking tonality. The presence of plant elements makes the spaces come alive and personality and this is a good formula to clean the home of negative energies and put the finishing touch to any exterior and interior decoration with the most natural coral touch.